The foundation for your cravings might be set long before they actually even appear, and you may be surprised to know that it has nothing to do with diet. In fact, the reason why you keep reaching for the cookies, chips, and candy might actually depend on how well you slept last night… and the night before that… and the one before that. There’s been plenty of research done over the last couple of years that has determined a link between poor sleep, overeating, and bad food choices. But a new study now shows exactly why that might be, and it’s pretty neat. When you don’t get enough sleep at night, it can impact something called your endocannabinoid system—which may sound familiar. Cannabis—also called marijuana—is known to give people the “munchies,” and a lack of sleep can do the same thing. The chemicals in your endocannabinoid system, which lead to cravings for junk food, tend to stay low overnight and slowly increase throughout the day, typically peaking at 12:30 p.m. When you’re sleep-deprived, they peak at the same time but continue to remain elevated throughout the afternoon and evening, when people tend to do the majority of their snacking. And not only do they stay high, they become harder to satisfy and ignore. In fact, a brand new study shows that when a sleep-deprived group of participants were given access to snacks, they ate nearly twice as much as they did when they had a full eight hours of sleep. Furthermore, the snacking was done shortly after they ate a meal containing 90% of their daily caloric needs. And this problem gets worse as time goes on and cannabinoid levels stay high. So if you don’t sleep well for multiple nights, your cravings will become more frequent, which could lead to further snacking on junk food, and may have some severe health implications such as weight gain, metabolic syndrome, increased blood pressure, and type-2 diabetes. So is the key to controlling your appetite getting a good night’s sleep? It could play a major role. It seems as though sleep can help control cravings and increase overall food satisfaction to avoid overeating. There are so many reasons why sleeping well is important to your health, but it always helps to understand why. 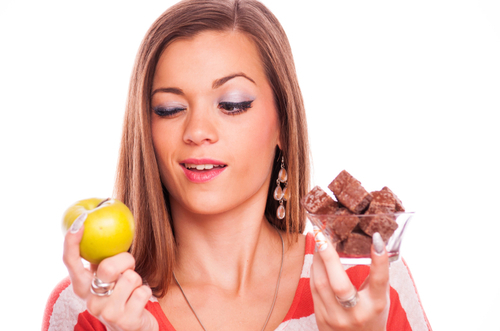 Hopefully this new finding will help you battle your cravings and regain control over your eating habits. University of Chicago Medicine & Biological Sciences, “Sleep loss boosts hunger and unhealthy food choices,” Science Life web site, February 29, 2016; http://sciencelife.uchospitals.edu/2016/02/29/sleep-loss-boosts-hunger-and-unhealthy-food-choices/, last accessed March 3, 2016.